Members of Missouri’s largest union are set to go on strike if Holten Meat Inc. doesn’t return to the bargaining table. The United Food & Commercial Workers Local 655 voted by a 99 % margin over the weekend in favor of a strike in which picket lines could be formed as early as Tuesday. Union spokesperson Collin Reischman says workers are happy with the economics of the negotiations, but object to the company’s other positions. The union’s current three-year contract expired last September, but had been extended while negotiations continued. It will expire at midnight Monday if the company doesn’t extend it again, which is what the union favors. Holten Meats didn’t comment on the possible strike when contacted. During an interview with Missourinet, Reischman pointed to a couple of the company’s positions the union found objectionable. Another issue is related to job attendance. The company says the point would be discarded with a doctor’s note. The union argues the requirement is disrespectful to workers being transported by ambulance. Reischman said the contract offer from the company, taken in its full context, was discourteous to employees. Holten Meats produces packaged frozen hamburger patties and steaks under labels such as The Cloud, Thick N Juicy and Double Red Provisions. 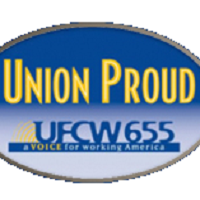 A news release from United Food & Commercial Workers Local 655 claims it represents over 10,000 members working in the 46 counties throughout the eastern half of the state.